Last month, we informed you of a digital signal upgrade that resulted in thousands of homes suffering a Freeview blackout. At the time, Freeview spoke to TechRadar, explaining that it was budget boxes made before the Digital Tick symbol that were affected, and that users of these boxes would have to buy a new one. New information has come to light, however, suggesting an additional change in the transmission mode from 2k to 8k will affect other equipment. 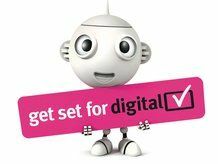 In an exclusive interview with Digital UK spokesperson Chris Cain, What Video & Hi-Def TV magazine were told that: "Technical changes to the transmitters will mean that a very small number of the earliest digital boxes and digital TVs, including all ONdigital and ITV digital boxes, will stop working at switchover." While this is still the case, the bad news is that the "small number" actually refers to over 30 products – including TVs. And these aren't just from budget brands, as big-name companies such as Philips, Sony and Toshiba all feature. Speaking about the revelation, Jake Day-Williams, editor of What Video & Hi-Def TV, said: "Though TVs on this list can be made to function by investing in a new Freeview receiver, this news comes as a slap in the face for anyone that felt they were making a safe investment in future-proof technology." Essentially, some of the products on the list can be upgraded, but not all of them. In the case of the TVs, while they will still work, if you want Freeview, you will have to invest in a brand-new tuner. Or you could just heed Digital UK's slightly disparaging advice, found at the bottom of the document, which states: "Alternatively, you may want to replace the set with a new thin LCD or Plasma model." We suggest you email them and ask if they are going to pony up the cash for such an investment. The full feature appears in Issue 339 of What Video & Hi-Def TV, which goes on sale 2 October.